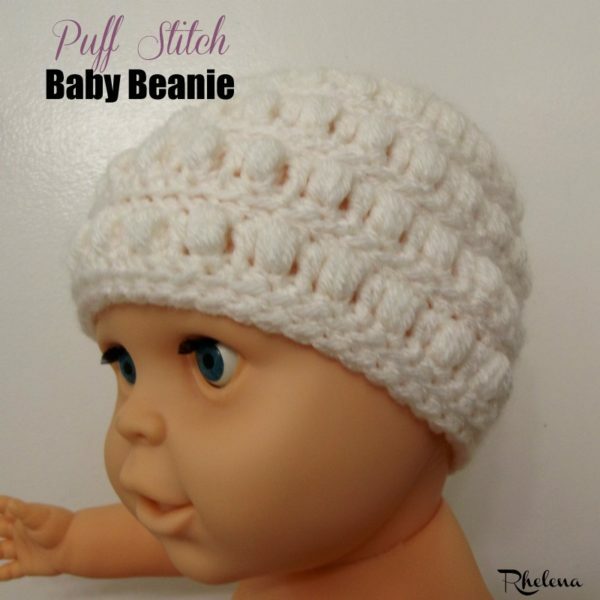 FREE Baby Beanie Crochet Pattern. This baby beanie is designed to fit a 6 month old baby. Crochet this adorable baby beanie for both baby boys and for baby girls. It is shown here in a solid white, but why not try it in two or more colors to match a variety of outfits. 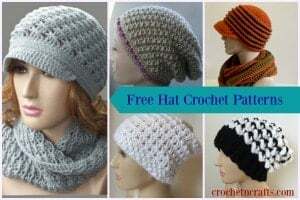 Although it’s designed for a 6 month old, you could basically crochet this for any size by increasing the crown and doing more repeats of the rounds. Gauge: 2″ over first 2 Rounds. Puff Stitch (puff st): [Yo, insert hk into st, yo and pull through] 3 times (7 lps on hk), yo and pull through all 7 lps, ch 1 to close. When working the next round, do not crochet into the closing ch-1’s. This pattern flares out when you do the puff stitch round; however, it evens out nicely in the round thereafter. Note: Do not crochet into the ch-1-s made to close the puff stitch. Rnds 10-18: Rep Rnds 7-9 3 times. Fasten Off at last rnd. Thank you so much to my testers for testing this baby beanie. And if you enjoyed this pattern, you might also enjoy more baby hat crochet patterns on CPB. Hi Karen, I’m not sure how you ended up with 67 sts (I’m guessing that’s your count at rnd 8, and you might have worked into the closing ch-1 sps of Rnd 7?). If you have 25 hdc and 25 puff sts at round 7, then you are on the right track. So at rnd 7 when you make the puff sts, you make a ch-1 to secure the puff st. This ch-1 does not count as a st, and thus is skipped in Rnd 8. You could place a stitch marker into a few of the ch-1’s to help you see where they are, thus making it easier to skip them in Rnd 8.